With his light, classically inspired touch at the keyboard, and his compositions that explore counterpoint and polyphony, it is fitting that John Lewis did more than most to bring jazz into the concert hall. Pieces such as Vendome and Versailles explore his interests in classical forms, and his composition Django reveals his gift for melody. As musical director of the Modern Jazz Quartet, he was a figurehead of the movement to get jazz out of the low dives of its origins and onto the tuxedo-clad concert stage. He also explored the junctions between classical music and jazz, in the so-called 'Third-stream' compositions played by his Orchestra USA in the 1960s and the American Jazz Orchestra of the 1980s. Nevertheless, Lewis had impeccable jazz credentials. 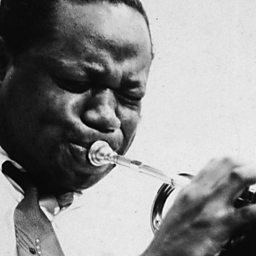 He came out of the US army to play on 52nd Street in 1945, and soon afterwards joined Dizzy Gillespie's big band, with which he toured and arranged until 1948. The band's rhythm section formed the nucleus of the Modern Jazz Quartet, but before that group was launched in its own right in 1952, Lewis had been a member of Miles Davis's Birth of the Cool nonet, and also of Charlie Parker's quintet. In the MJQ, Lewis's delicate contrapuntal melodies contrasted with the bluesier phrasing of vibist Milt Jackson, and their interaction was one of the main ingredients in the group's success, until it finally disbanded after the death of drummer Connie Kay in 1994. Lewis also maintained a separate career as a pianist, and as an educator. He organised the Lenox summer schools in Massachusetts, and later taught at universities in New York and Boston. His solo piano tours and recordings were fitted between his MJQ commitments (taking off during the group's disbandment in the 1970s, and again after it folded in the 1990s), but he produced a large body of work in his own right, including the highly-praised solo album Evolution in 1999. He remained active until the time of his death, conducting a retrospective concert with the Lincoln Center Jazz Orchestra only a few weeks before he died. John Aaron Lewis (May 3, 1920 – March 29, 2001) was an American jazz pianist, composer and arranger, best known as the founder and musical director of the Modern Jazz Quartet.